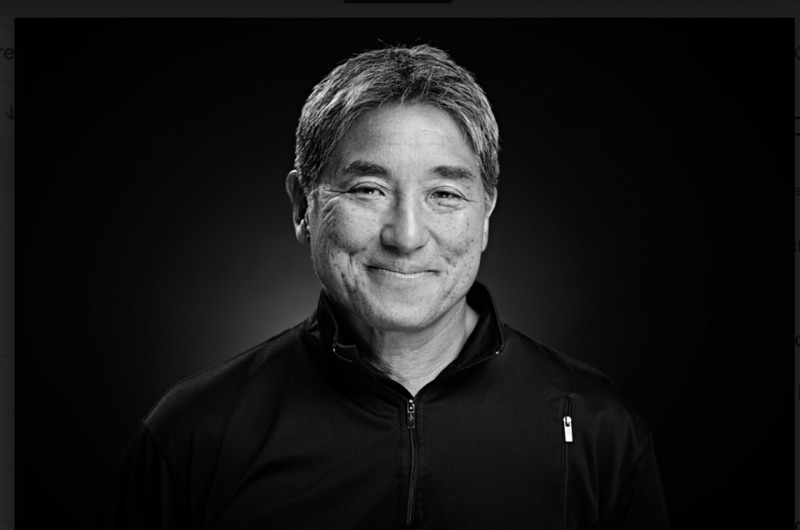 “Take the high road…you’ll find out there’s not much traffic there,” shares Guy Kawasaki as we sit to chat about what he’s learned so far in his 65 years. Those years have been full as he’s worked at Apple twice, started several tech companies, became an investor, keynote speaker, thirteen-time author, brand ambassador, and “chief evangelist” for Canva. In his latest book Wise Guy, Kawasaki shares what he calls “miso soup for the soul”, a wide-range of stories that have helped him grow. We pulled out the top eleven lessons he’s learned that have helped him achieve success in work, play, love, and family in hopes that it will inspire and encourage you, too. Kawasaki advises that we should seek out and embrace people who challenge us rather than those who hold us to lower standards, much like Steve Jobs did for him. “The bottom line is always to put yourself out there, not to take the easy path, to stretch yourself, and then those people will appear in your life naturally,” he explains. Quitting isn’t always bad. But how do you know when it’s time to quit versus keep pushing? Kawasaki shares, “I’m an Asian-American, and in the mid-70s, I quit law school. Back then, it was an honor and a strike of lightning to get in. I got in and I hated it. My parents had only gone to high school. My father was a State Senator in Hawaii and there’s all this pressure of 2000 years of my ancestors working for me to get to this point. And in the midst of that, I had to quit. To my utter amazement, my parents did not disown me. In fact, my father said, ‘It’s okay. Just make something of your life before you’re 25.’ So that’s the Asian-American version of cutting you slack.” Kawasaki trusted his instincts knowing that it was time to quit, against all odds. Asking for help can be challenging, but can pay dividends both in your relationships as well as in your own advancement. “One of the ways that you can start and strengthen relationships is ironically, maybe surprisingly, to ask for help. In my optimistic view, the reason for this is that, generally, people are helpful. It’s satisfying to help people. So, asking people for help is a way of starting a relationship as opposed to the thought that, ‘They’re going to hate me because I’m asking for something right up front.’ Of course, you have to follow up asking for help with gratitude and reciprocation. It’s not a one-way street. But I think the concept that you should never ask someone for help because you’re going to ruin the relationship or never have a relationship is false,” he explains.